The red circle with unit radius and center on the positive axis is tangent to the lines through the origin with slopes . There are three challenges in this Demonstration. 1. Find the center and radius of the circle that is tangent to and above that is also tangent to the two lines with equations at the point P and its reflection in the axis. 2. Find the coordinates of P and the area enclosed by the new circle and the two lines. 3. 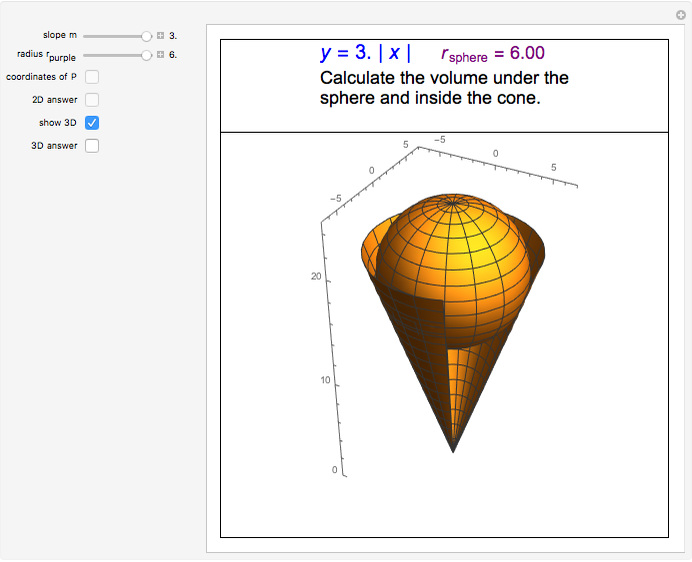 In three dimensions, find the volume of the part of a cone of any given slope under a tangent sphere of any given radius. 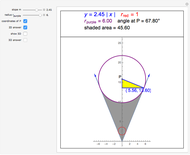 If the points of tangency are and , where is the slope, then the radius of the tangent circle at these points can be calculated to be , with corresponding tangent circle center at . 1. is the total volume resulting from rotating the region bounded by the line connecting the center of the circle with the point of tangency about the axis. 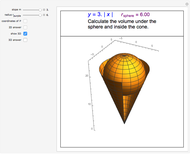 This total volume is calculated using the shell method; . 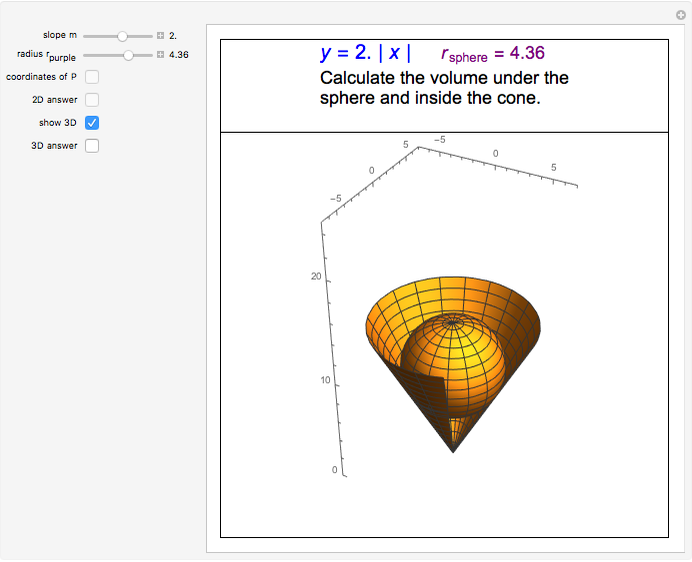 2. is the volume of the spherical sector. Finally, the required volume is . Abraham Gadalla "Volume under a Sphere Tangent to a Cone"